We recently drove the BMW X1 xDrive 20d M Sport and here’s what we feel about the SUV. There’s a big market in India for people who want to upgrade their cars to a luxury brand, creating a lot of opportunities for German brands like BMW. At the same time, India as a market has a growing affinity towards SUVs, more particularly towards compact SUVs. Fitting the bill perfectly is the BMW X1 that was first introduced in 2010, when the Indian market was still evolving. Now that the market is more mature, BMW has launched the new X1 with an SUV focused design. We recently drove the BMW X1 xDrive 20d M Sport and here’s what we feel about the SUV. The biggest USP of the new BMW X1 is the very fact that it looks radically different from the previous X1 and the M Sport trim only enhances the character of the SUV. While the previous X1 was more of a crossover in terms of the design, the new X1 is a proper SUV with good road presence. The M Sport gets an M Aerodynamic package with front apron, side skirts, wheel arch trims, cladding in body colour and rear apron with diffuser inserts in Dark shadow metallic. At the front is the trademark BMW Kidney Grille with 16 exclusively designed slats with Black High-Gloss fronts. The 18” Ferric Grey alloy wheels and a prominent body line at the side complemented the Black Sapphire shade of the BMW X1 we drove. Overall, the BMW X1 xDrive 20d M Sport looks subtle yet refreshing. 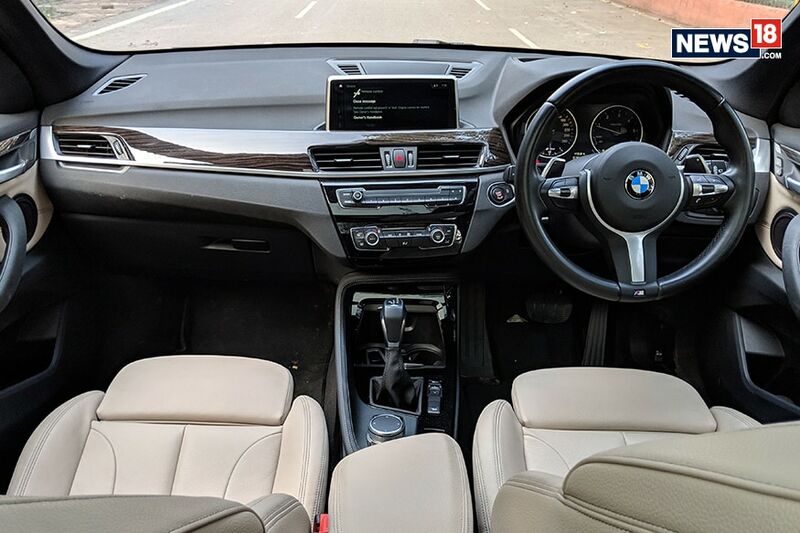 The cabin of the BMW X1 xDrive 20d M Sport exudes every bit premiumness and luxury thanks to a dual tone cabin with beige seats, black dashboard, wooden inserts and some silver elements. On the flipside, all these trims are not something you expect from the M Sport variant, which is supposed to be more sporty with all black cabin. The wooden trim, especially, looks out of place in the M Sport variant. That said, the cabin looks attractive and gets features like a 8.8-inch infotainment screen with the iDrive jog controller in the central tunnel just behind the gear knob, a panoramic glass roof along with sunroof, dual zone climate control, head-up display, M-steering wheel, ambient lighting and electrically adjustable front seats with memory function. 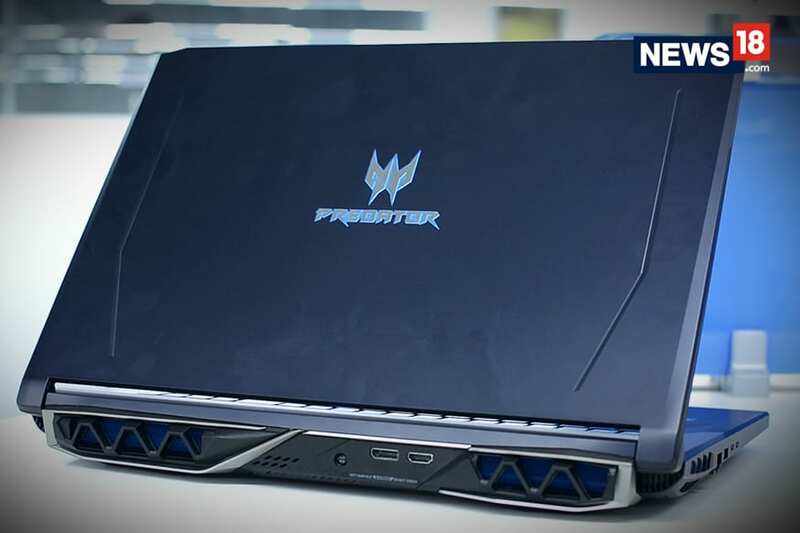 The seats in itself are very comfortable, with ample cushioning and support. 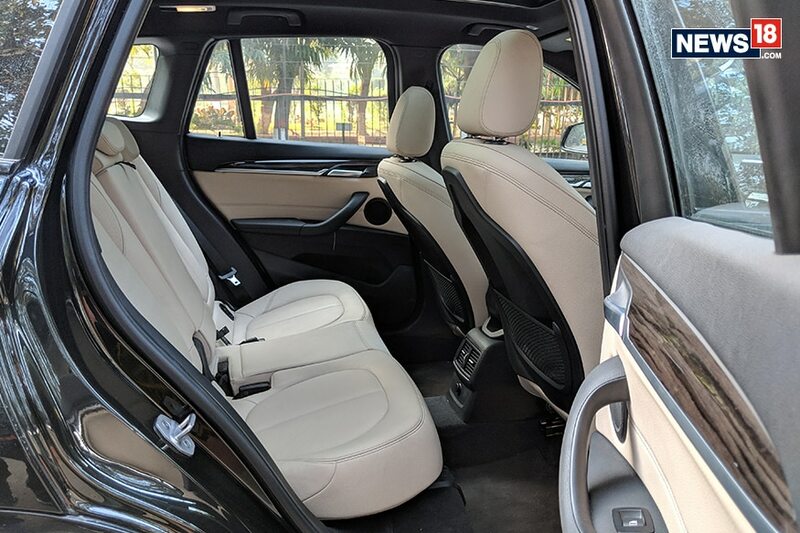 In terms of practicality, the BMW X1 xDrive 20d M Sport has a roomy cabin and high set driver seat for a commanding view ahead. The rear seat has good legroom, headroom and shoulder space. However the massive hump at the rear possess a challenge for the middle rear seat passenger. The boot is more than 500-litre and can swallow weekend family luggage with ease. The large door pockets, underarm storage and cup holders all make the X1 a highly practical car. The BMW X1 xDrive 20d M Sport, like all the variants, is powered by a 2.0-litre, four-cylinder diesel engine producing a peak power of 190 PS and a max torque of 400 Nm. The difference though is, the xDrive 20d M Sport can do 0-100 kmph in 7.6 seconds, 0.2 seconds faster than the other variants. The engine is mated to an 8-speed automatic transmission with paddle shifters that send the power to all four wheels via BMW’s xDrive 4 wheel drive setup. While the engine is not peppy enough, once pass 2000 rpm, the X1 is a fun to drive car and can easily touch 3 digit speed. The drive modes – EcoPro, Comfort and Sport – alters the performance visibly and if you are someone who loves to drive the car, the Sport mode is your best ally. The car is mostly on its toes once you shift to the Sport mode. Add to it the paddle shifters and you feel like pressing the accelerator hard. However, for a smooth and trouble free cruising experience, shift to the comfort mode and use the automatic gearbox. The steering wheel is chunky and feels good to hold, while having an agile feedback. Be it slow city speed or be it the highway speed, the steering felt every bit alive and supportive. The suspension was a bit soft and felt good for city driving easily dealing with potholes. However at high speeds, we felt like suspension should have been a bit hard. Overall, the X1 xDrive 20d M Sport offered a typical good driving experience synonymous with other BMW cars. In terms of the safety, the BMW X1 xDrive 20d M Sport gets 6 airbags, Attentive assistance that analyses the driving behaviour of the driver, ABS with Brake Assist, Traction Control System and Dynamic Stability Control among other features. 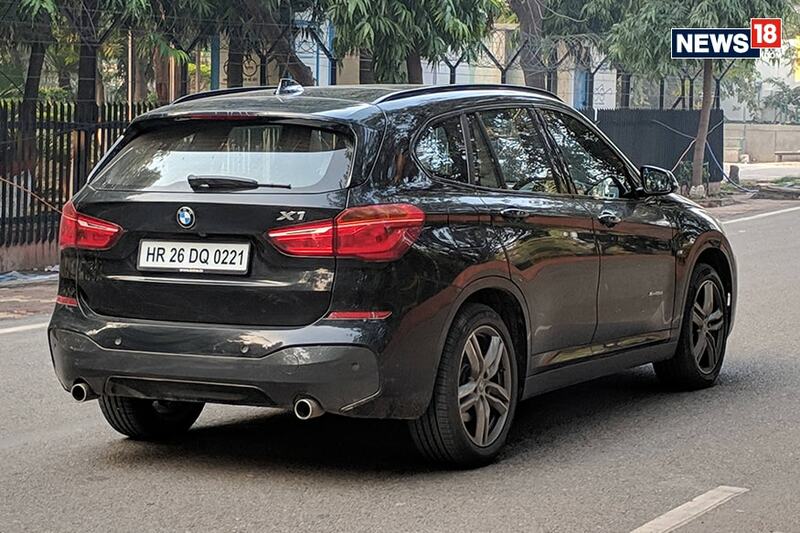 The BMW X1 xDrive 20d M Sport is priced at Rs 45.40 Lakh (ex-showroom, Delhi), while the X1 range starts at Rs 35.20 Lakh (ex-showroom, Delhi). This means the X1 is not only one of the most affordable BMWs to buy in India, it is in fact one of the most affordable cars to bear a luxury brand tag. Being affordable doesn’t mean the BMW X1 is short on equipment and offers a feature-loaded cabin, balanced dynamics and attractive design. 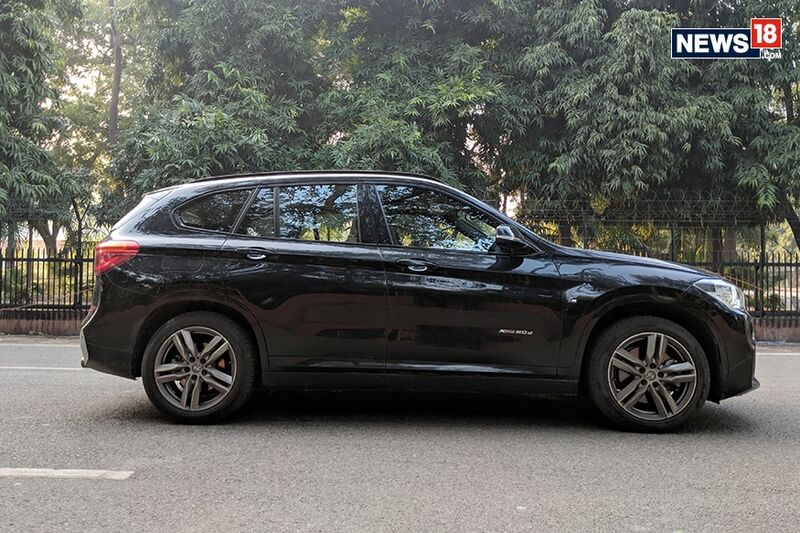 There are a couple of shortcomings (mostly nitpicking), but then, the BMW X1 xDrive 20d M Sport checks all the boxes needed for a worthy entry level luxury SUV.